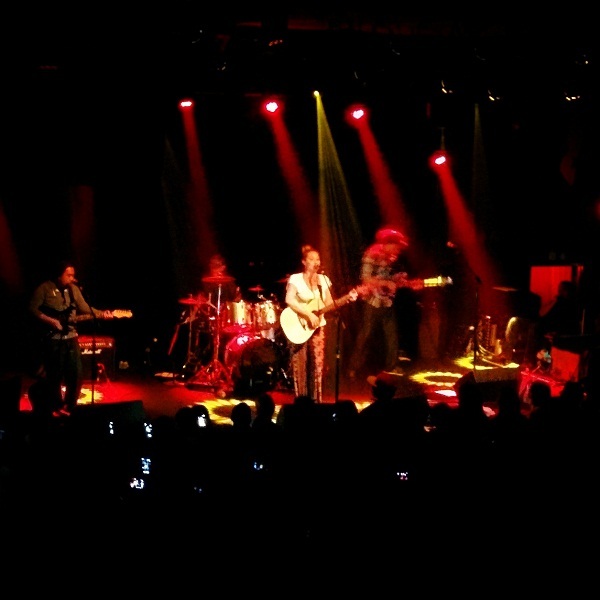 Anuhea >> Last Saturday night, San Francisco seemed a little warmer. That's because Hawaiian-born Anuhea had blown in to town for a sold out show at The Independent. Having just played in San Francisco at Mezzanine in May with her friends Rebel Souljaz, this trip was a chance for her take a well deserved trip to the stage as headliner this time around. She took the time out to sit down with us backstage for a few minutes and could not have been more welcoming and inviting. As I sat down on the couch in her small dressing room, while bassist Jason Tupuola-Aiono was getting tuned and warmed up, I found myself feeling more like I was in a friend's living room than backstage at a concert. The new mom gushed over missing her boys back home and found her asking more about me as I got totally lost in the pleasant conversation. Running short on time, and not having asked a single question I'd planned I was able to pick up that the singer clearly was not feeling 100%. She played it off nonchalantly and made jokes about her raspy manly voice but clearly wasn't feeling well and it was now time for her to get on stage. I thanked her, shared a hug, snapped a quick photo and was back to my seats for a show I was sure would be a struggle for her. I couldn't have been more wrong. Having seen Anuhea perform live a few times prior, I can honestly say this was my favorite show to have attended yet. She opened with some of the same jokes about her raspy voice to the crowd but once she started singing no one would have ever known. Every melodic note she belted out sounded as pure as ever, and the songs carried with them the same warm island vibes we've come to known from Anuhea. Her music is light and positive as you would expect from the island princess, but she also brings a soulful presence to the stage and her connection with the audience is unparalleled. Between sips of hot tea and even taking a break for a spam musabi snack on stage, she had the sold out crowd singing along to all of her hits. One of my personal favorite jams was ‘Crown Royal’, which is about her love-hate relationship with the whiskey king up north. She also brought down the house to end the evening as she broke out her ukulele to play probably her biggest hit ‘Simple Love Song’. If you'd never stepped foot off the mainland you could have closed your eyes during that song and practically felt the island sand beneath your toes. It was an amazing performance from a true professional. I’m so glad she could bring a little of her sunshine to the stage in the bay area and it was the perfect cure to June gloom for this San Franciscan. I’m looking forward to plenty more from Anuhea in the upcoming months. For you SOJA fans, she'll be featured on their upcoming album on the song ‘Easier’ which also features island favorite J-Boog. The album will be available on August 12th. I also urge you to check out her Facebook page at for tour updates. Hopefully she can bring a little summer to your summer in a city near you! A Hui Hu and Mahalo! 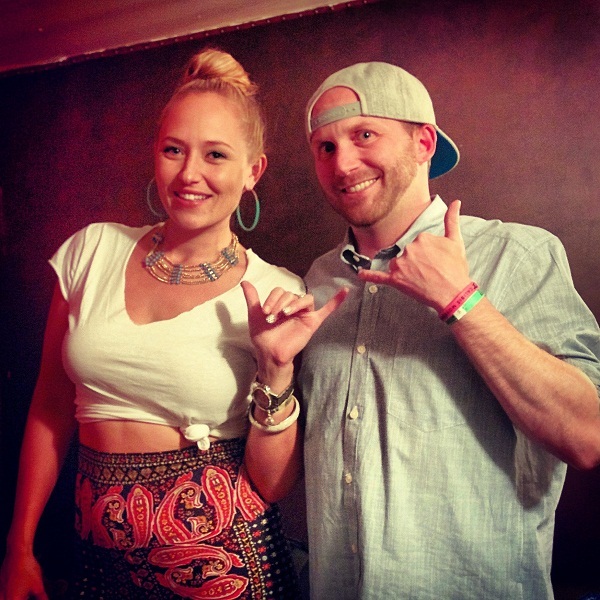 This entry was posted in music, rando, shows and tagged anuhea, charles, crown royal, easier, hawaii, j-boog, jason tupuola-aiono, mezzanine, rebel souljaz, san francisco, simple love song, soja, the independent. Bookmark the permalink.